Mareblue Beach is a 4 star hotel located in the picturesque cove (right) next to the sea in St. Spyridon, on the North coast fo Corfu. 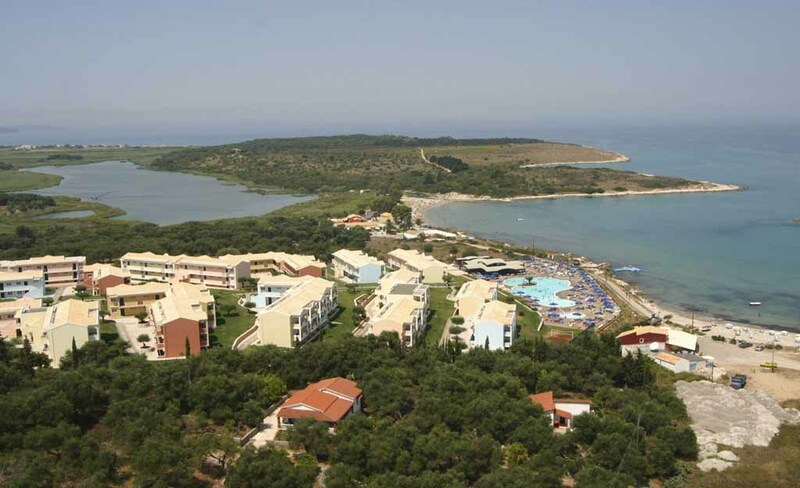 The hotel is 40km from airport and town between the villages of Kassiopi and Acharavi. 2 beautiful sandy beaches are a stone's throw away from the hotel. There is a natural reserve lagoon situated walking distance from the hotel, right next to the sea. The hotel is consists of 375 rooms. It offers Double rooms with Garden or seaview , Superior deluxe double rooms, Double bed with bunk beds & Suites with private separate bedroom and living room.